From time to time we all secretly fantasize about living the oh-so-fabulous double life of The Real Housewives of Beverly Hills star Erika Girardi by day and "Xxpensive" songstress Erika Jayne by night. However, the cruel reality is that most of us have champagne tastes on a beer budget. But that doesn't mean your home decor needs to suffer. From dazzling DIYs to sophisticated Ikea hacks, we have your penchant for high-end design covered. Here, 10 ways to make your home look like a million bucks without having to spend a pretty penny. Your entryway is a chance to make a lasting first impression, so it better have personality. 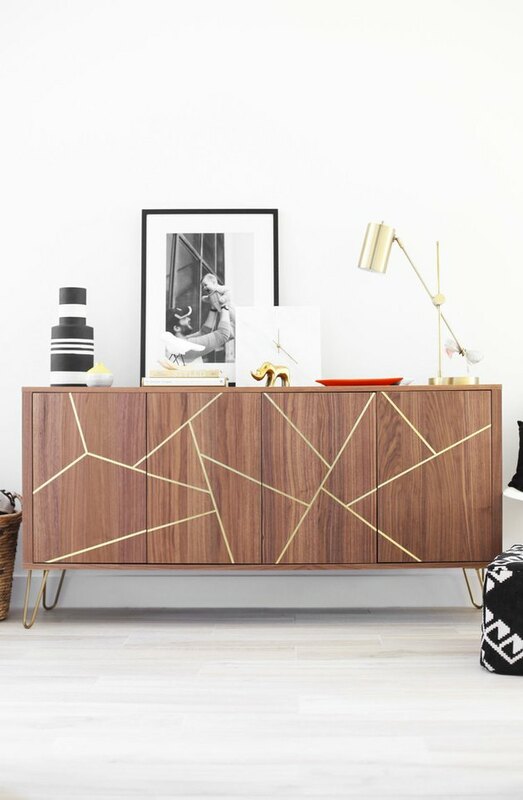 You won't believe it, but this West Elm-inspired console is actually from Ikea. Kristi Murphy cleverly added gold hairpin legs and brass strips resulting in this eye-catching transformation. 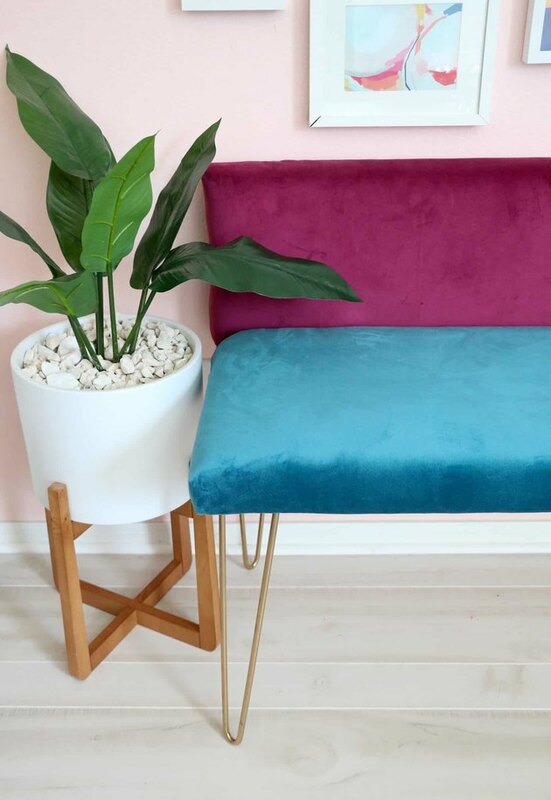 Color blocking and velvet are major trends, which is why we are swooning over this piece by Kara from A Beautiful Mess. She cleverly combined both into one price-conscious DIY project that reads ultra royal. 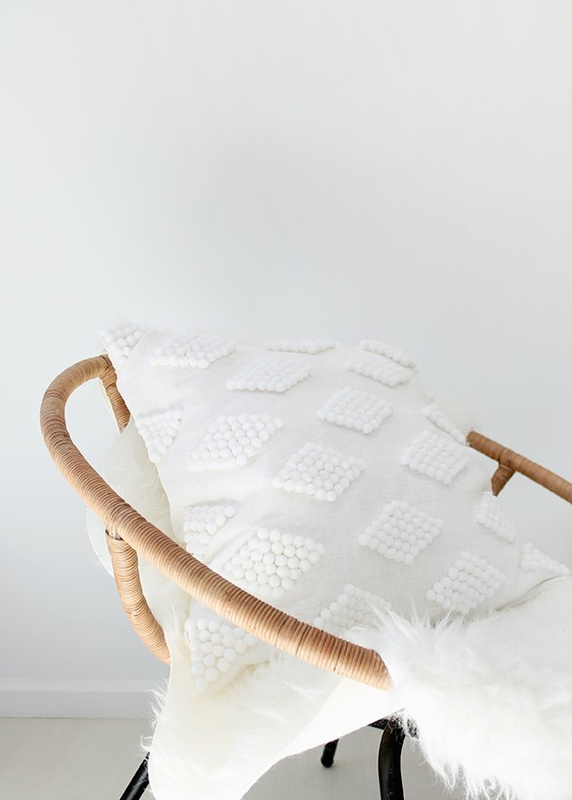 You can either spend upwards of $100 on embellished accent pillows, or save some cash with this thrifty DIY from Molly over at Almost Makes Perfect. All you need are some mini pom-poms and felt glue. 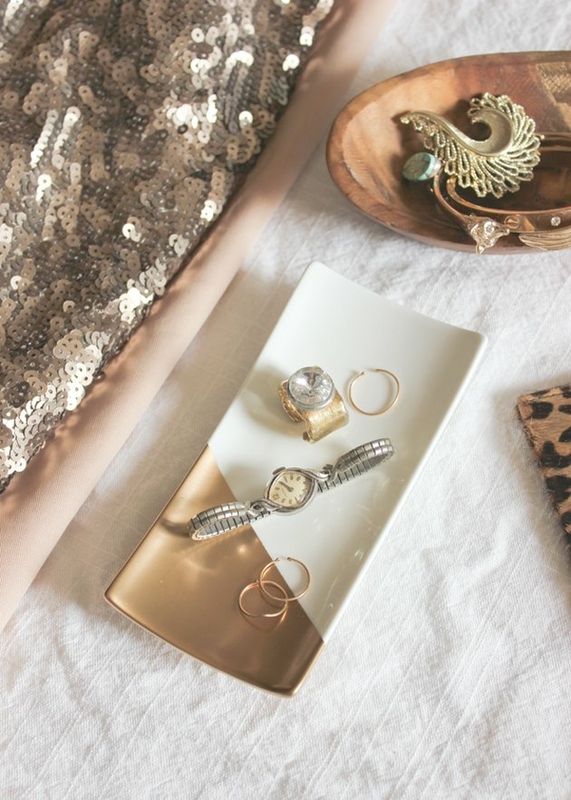 Gold is the epitome of opulence. Yet Lauren from A Fabulous Fete DIYed this gilded jewelry tray with her very own hands. It doesn't get much better than that. 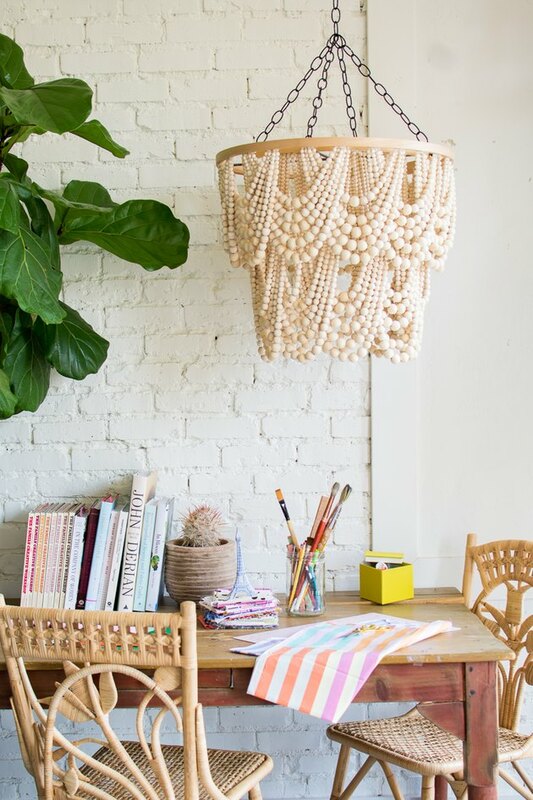 This beaded chandelier looks very similar to a pricey piece from Pottery Barn, but it's actually an affordable at-home creation. You just have to be willing to put in the work like Brittany Watson Jepsen from The House That Lars Built. 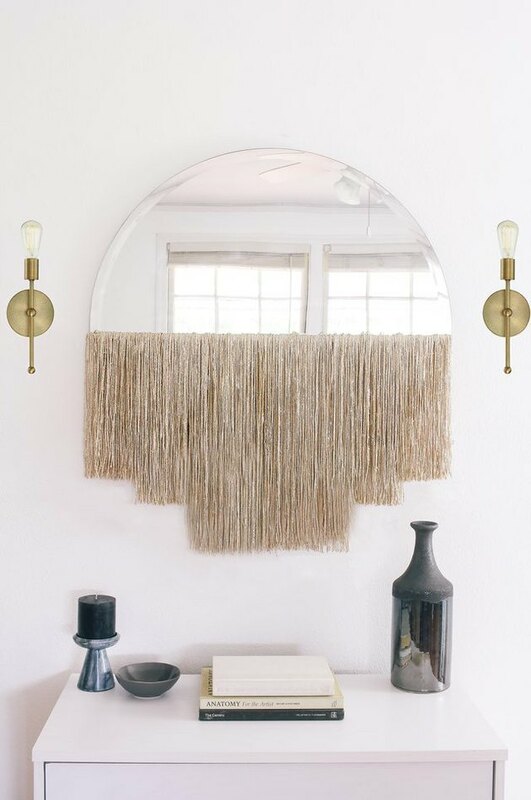 A fringe mirror screams glamour — especially when paired with elegant brass wall sconces. 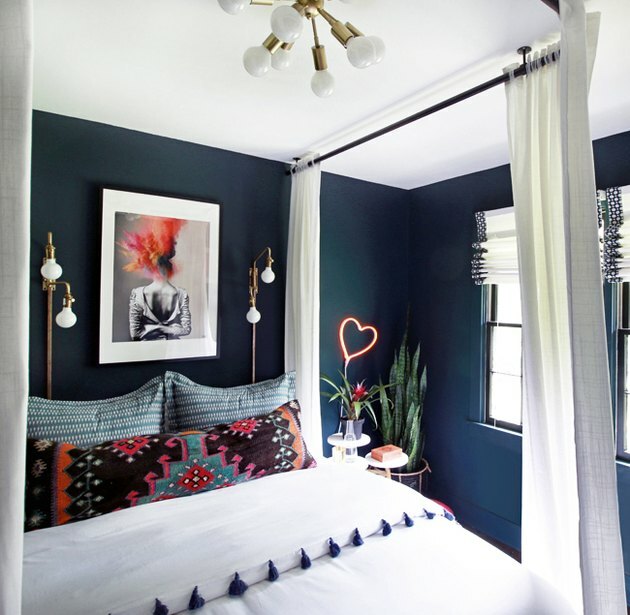 However, this luxe DIY creation doesn't come with a sky-high price tag, unlike similar versions found at high-end retailers. Art is a major investment. But if you aren't ready to pull the trigger on your forever collection, why not go the DIY route? 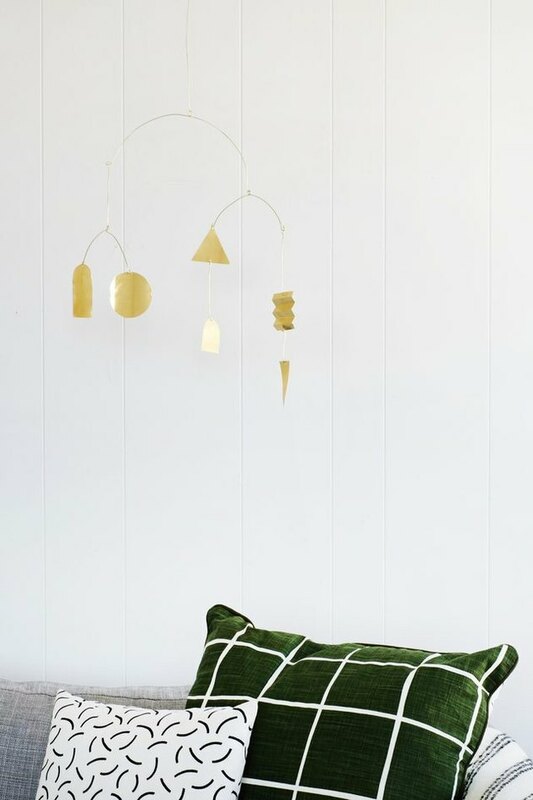 This delicate brass mobile is easy, inexpensive, and packs a whimsical yet modern punch. 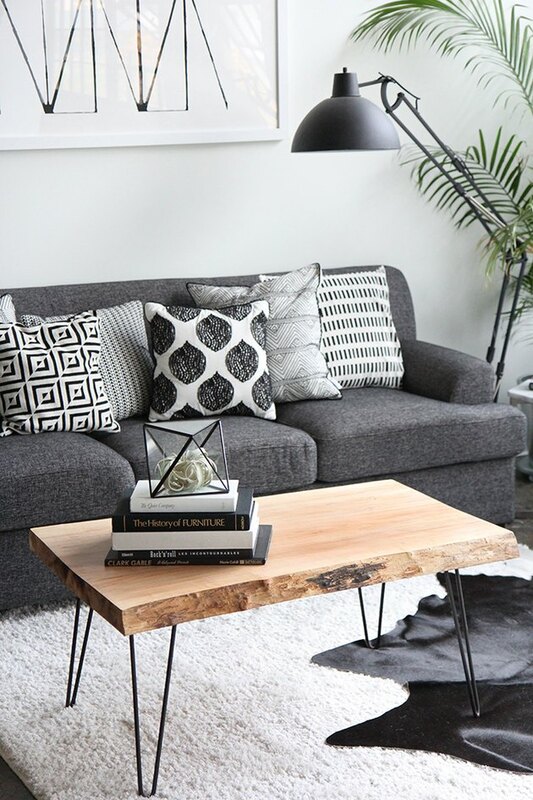 No matter where you go, buying a live edge wood coffee table will set you back a nice chunk of change. But thanks to Jenni from I Spy DIY, you can get the look you love for much, much less. Her pro tip to save even more money: Buy old furniture from thrift stores and repurpose the hairpin legs for your dreamy table. Want to add a touch of midcentury modern flair to your space? 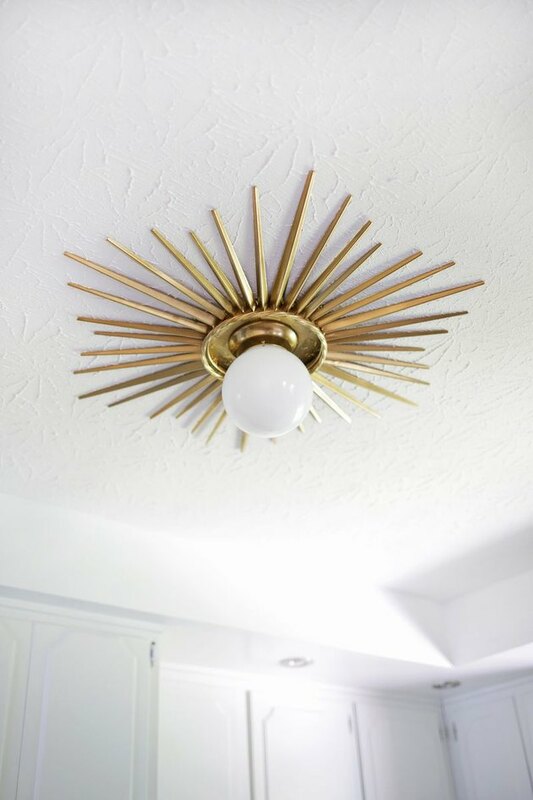 Consider a sculptural sunburst medallion. This radiant refurbishment from Laura over at A Beautiful Mess is brimming with retro grandeur. It's a save that can (and will) easily pass for a splurge. You could shell out hundreds on a store-bought ceiling-mounted canopy. Or, you can save your hard-earned cash, follow Kristin Jackson from the Hunted Interior's lead, and make your own for a fraction of the cost. Your secret's safe with us.